Located in the Trincomalee district on the eastern shores of Sri Lanka, Grace Care Center provides care for orphaned and homeless children in Sri Lanka’s struggling northeast. In 2004, the tsunami devastated the entire Trincomalee area, thrusting a large portion of one of South Asia’s most impoverished regions into even greater poverty and economic hardship. Established in 2002, Grace Center cares for over thirty young girls (ages 5-18) who have endured, war, poverty, and natural disasters. Grace Girls Home provides the girls with a safe, stable environment, and access to education. This past summer, I had the opportunity to travel to Sri Lanka and volunteer at Grace Care Center with a group of girls from Ann Arbor, Michigan. The objective of our trip was to interact with the girls, to help improve their English skills, and to listen to their stories. Planned several months in advance, we set up weekly Skype calls with the girls so that they could grow comfortable with our names and faces. We also met with internationally renowned psychologist Patricia Pasick. She explained how to give the girls psychological and emotional support when speaking with them about experiences they might have had before arriving at Grace Center. On arriving at Grace, we brought the girls both basic necessities as well as crafts, games, and extra items they had requested. We listened and documented their pasts, employing Dr. Pasick’s guidance when the girls recounted any traumatic experiences. Two of us performed a detailed study with a physician mentor to evaluate the nutritional intake and growth of the girls at Grace. We translated the girls’ weekly meal plans, analyzed each meal the girls were given throughout the day, and recorded the exact type and quantity of each raw ingredient used in the food. Now back in the US, I am working with a nutrition analysis company to get a very detailed breakdown of the diet of each child at Grace Center. We hope to use this information to improve their nutrition significantly in the future. Once completed, this study will help us understand which of the children may be suffering from malnutrition. Our detailed nutritional analysis will help us give specific advice to the staff at Grace Care on how to improve their diets. In addition, our study will increase awareness of malnutrition in Sri Lanka. 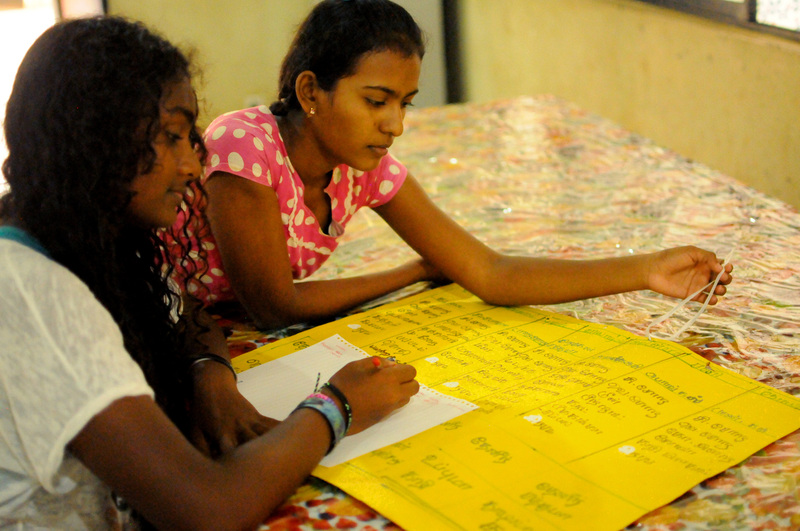 There is a lack of recent information on childhood malnutrition in Sri Lanka, particularly in adolescents and teenagers. In 2006, the United Nations Children’s Fund reported that up to a third of young children in Trincomalee had some form of malnutrition (1, 2). Malnutrition, especially from “wasting”, places children at a much higher risk of death, even from common infections. We plan to return to Grace Orphanage next year in order to continue helping the girls in different ways. In particular, we plan to re-evaluate the orphans for malnutrition and track their growth. We hope that some of the nutritional changes we have implemented into their meal plan will have reduced malnutrition and improved growth in the girls.